This pretty pendant from Evoke is crafted from sleek sterling silver and plated with shimmering rhodium for added shine. 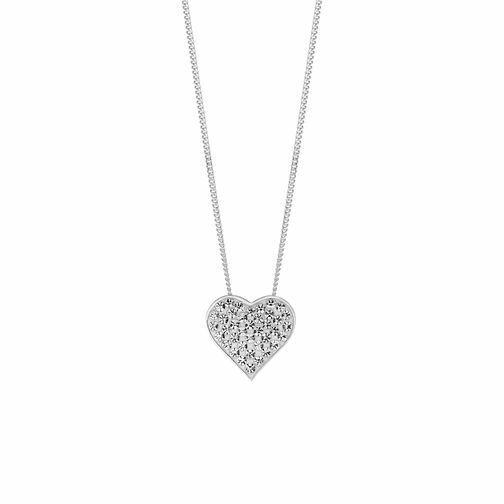 With a classic heart shaped design, this elegant pendant is set with glittering Swarovski crystal elements for a splash of sparkle. Evoke Silver & Rhodium Plate Swarovski Elements Pendant is rated 4.5 out of 5 by 2.